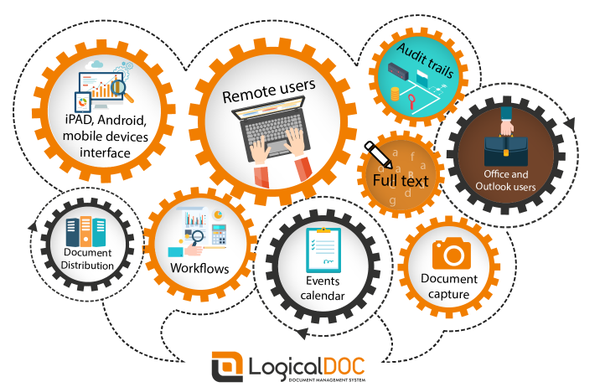 We are very happy to announce the release of LogicalDOC 7.4.1! 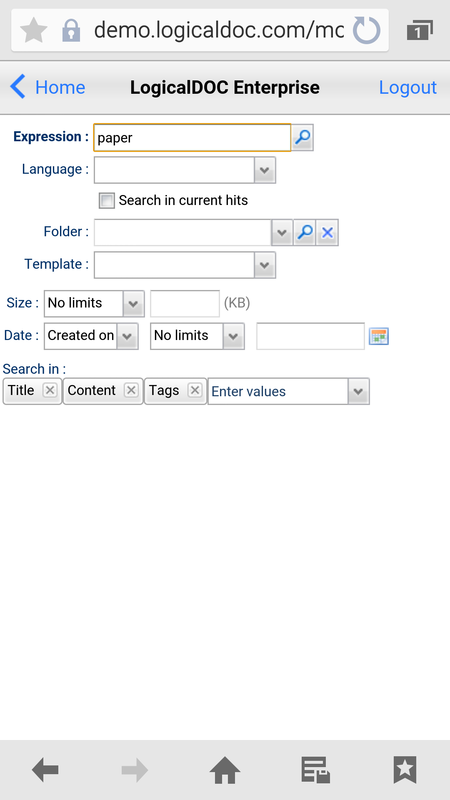 Outstanding, among the various updates and adjustments, is the new web interface for access from mobile devices (tablets and mobile phones). 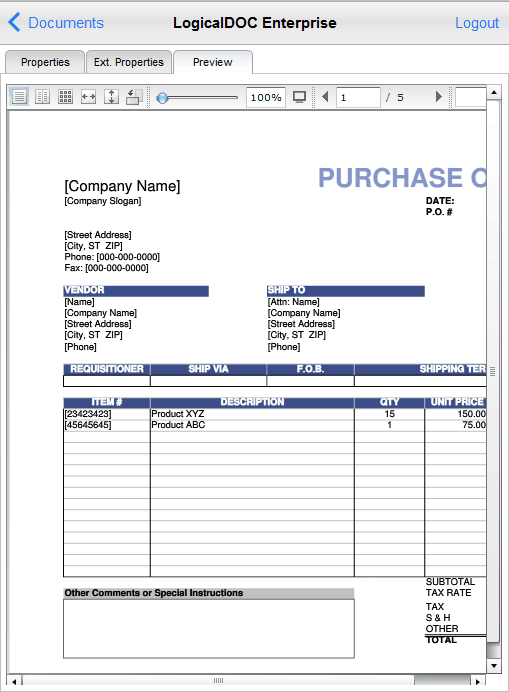 LogicalDOC 7.4.1 – New web interface for mobile devices (tablet and smartphones). More than 5 billion people own a smartphone. According to recent studies, the number of users that access Internet from their smartphone has more than doubled in the last 5 years, and so has the number of users who download and use apps. Among people who use Internet and email, more than a third access the Internet from their mobile. 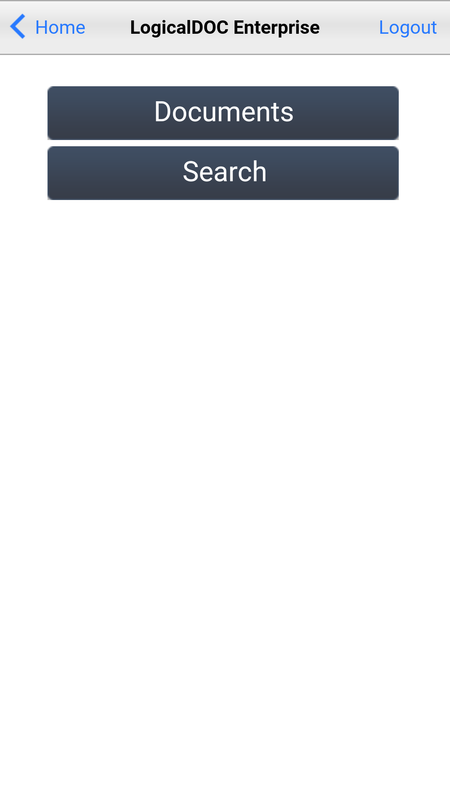 This update will allow you to access LogicalDOC directly from your mobile browser. Thanks to the web interface meant, and especially designed, for smartphones and tablets, it will be like using a simple App. 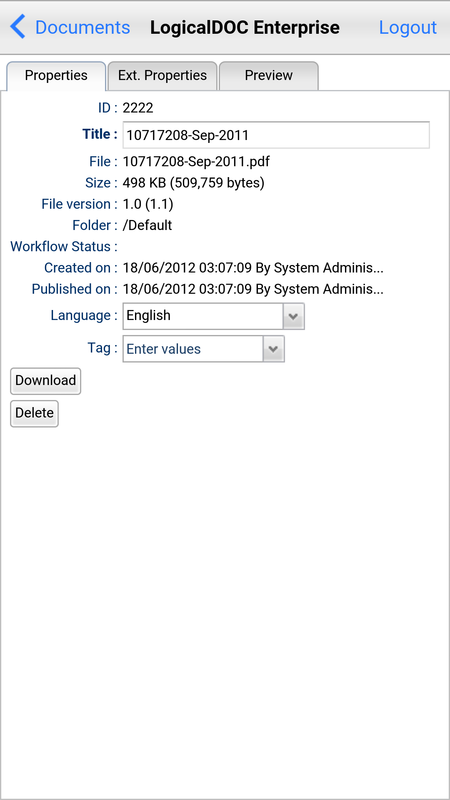 Such update is a valuable alternative to the LogicalDOC App for tablet and smartphone. 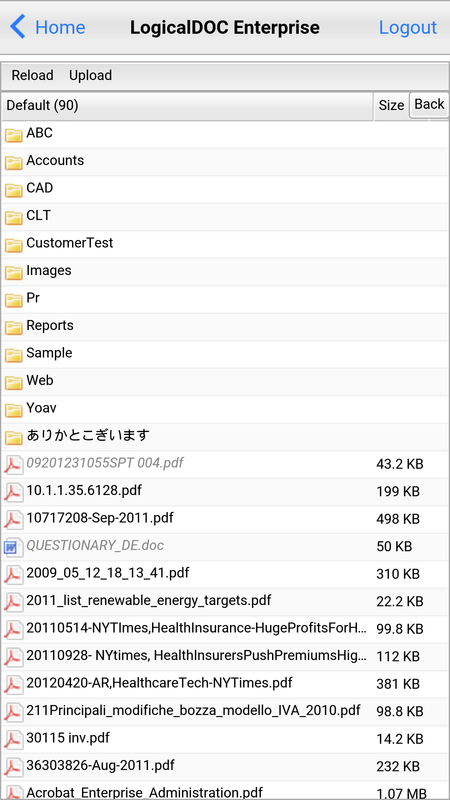 => For further details on the LogicalDOC App click here. Following you will see some images of the new interface (click on the arrows above on the left to scroll). To view the complete update list click here.